Whether you want to eat less meat for ethical, environmental, health, or totally different reasons, it can often feel overwhelming and a little daunting to begin with. Even if you're not interested in going completely vegan or vegetarian, it's tough to know exactly how to start cutting down on your meat consumption. Thinking about routines, recipes, eating out, and nutrition will help you feel at ease as you start making changes to the way you feed yourself. Let's get started! 1. Start cutting down on your meat consumption in a way that feels manageable and doable. When I first wanted to eat less meat, I began with meat-free Mondays. It was easy enough — just one day out of seven — and I started finding simple vegetarian meals I could make after work. Next, I tried going meat-free on weekdays, reserving my pork dumplings and grilled salmon for weekends. Eventually, I went pescatarian, then totally vegetarian for a little over a year. At the moment, I'll eat meat when I'm dining out or ordering in, but don't buy it from the grocery store or cook it at home. Life is constantly changing, so it makes sense that your food choices will too; don't beat yourself up if you can't give up meat all together, or do, then go back to eating it again — it's fine. 2. 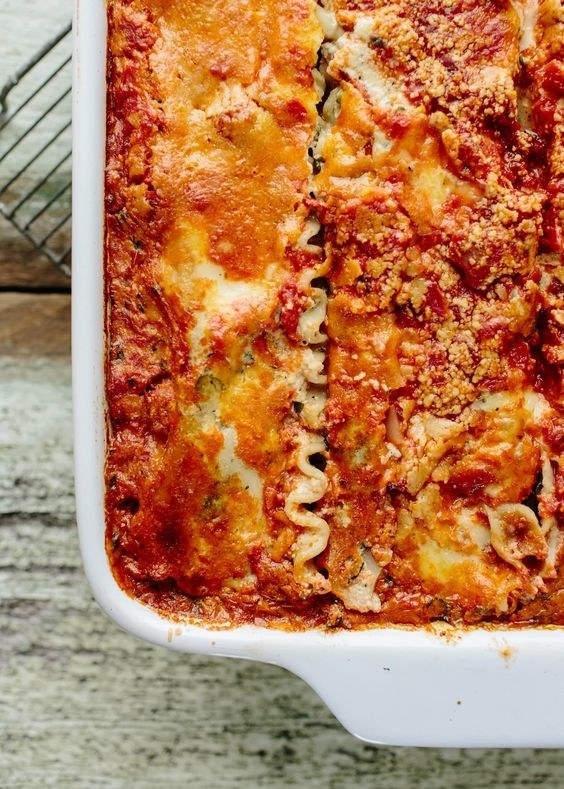 Find a handful of easy meatless recipes that you can make in a pinch after a long day. This quick chickpea pasta recipe changed my life. It's vegan, so easy to make, and impossibly tasty. Having a meal you can whip after after a long day (or late night) is a true game-changer, and will save you from reverting back to your old go-to (chicken tenders, anyone?). 3. And find meat-free versions of your usual go-to dinners. Unless your favorite home-made dinner is steak with a side of chicken breast, there's a very high chance a vegetarian or vegan version of it exists somewhere. (Seriously, just look on Pinterest.) 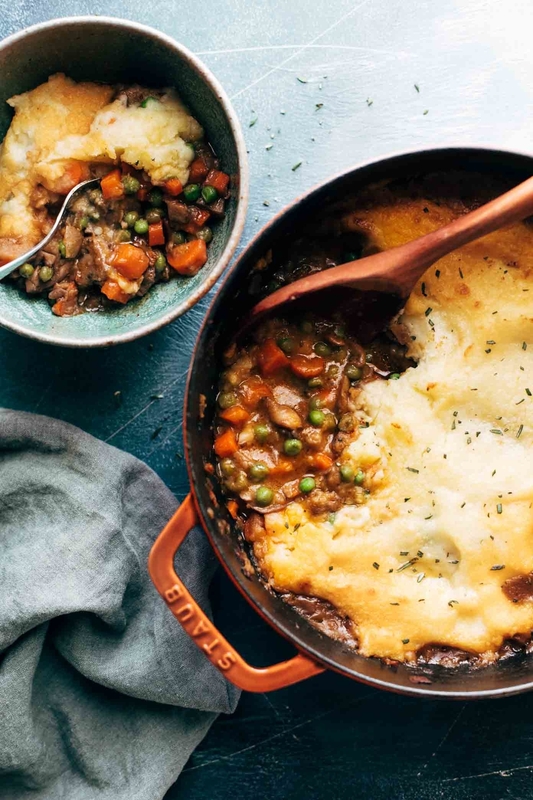 I cooked this vegetarian shepherd's pie over the weekend and it was so wholesome and tasty, I doubt I'll ever make the meat version again. 4. Don't be afraid to try meat alternatives if you're curious about them. I recently took it upon myself to try a bunch of fake meat products (I did it all for you!). Besides a few regrettable options, most were surprisingly good. 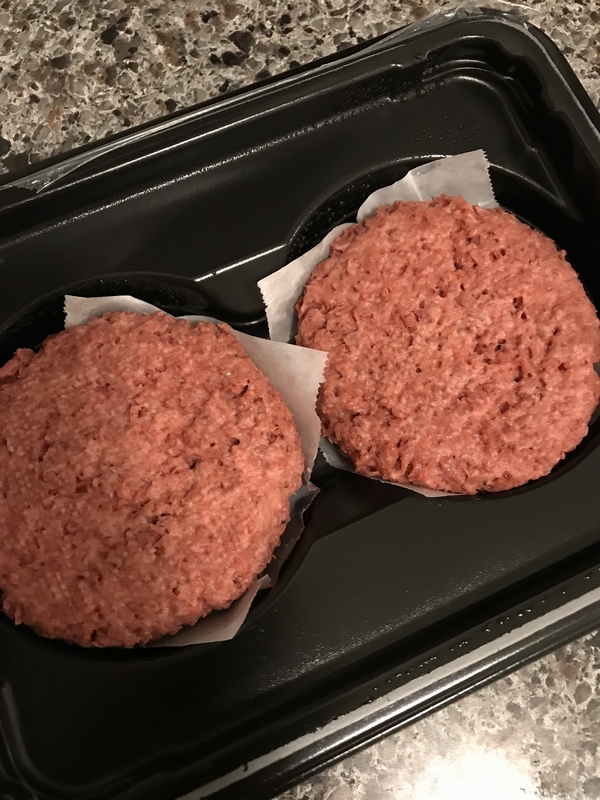 The Beyond Burger (made to look pink by beet juice extract!) 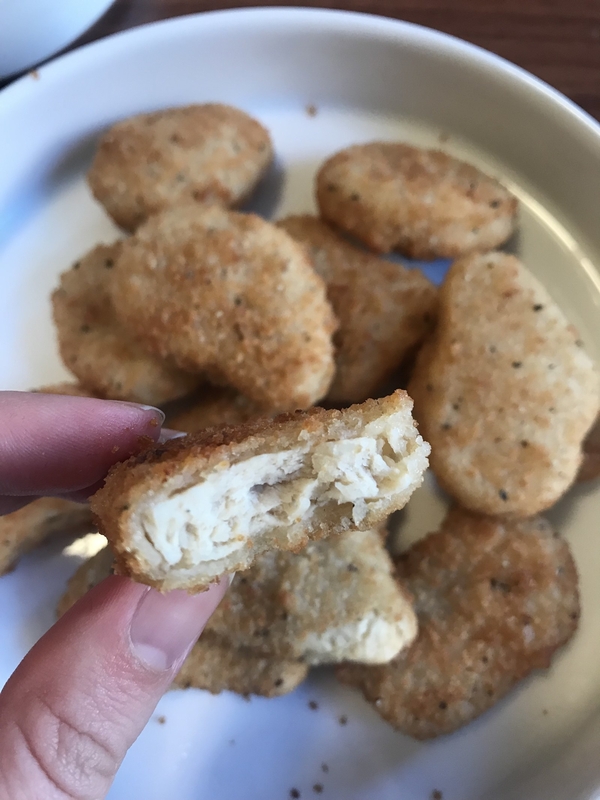 is a go-to in my home, and the Quorn chicken nuggets would be perfect for anyone who considers nuggets a staple of their diet — or has kids that would never give them up. 5. Visit vegetarian and vegan restaurants in your area, or try ordering vegetarian items off the menu when eating out. Dine at vegetarian restaurants, or order meat-free dishes, and take note of ingredients and flavors you like, so you can try replicating them at home. If you eat a lot, this is also just an easy way to lower your meat intake. 6. Learn how much protein you actually need in your diet. The amount of protein your body really need depends on your bodyweight and how active you are, so before you start worrying about your intake, it's a good idea to check and see how much your body needs. (This post explains in detail how to calculate your protein needs!) For vegetarians, eggs, cheese, tofu, black beans, peanut butter, lentils, and Greek yogurt are common sources of protein. If you're also thinking of lowering your dairy and egg consumption, you may have to put a little more thought into your protein intake, especially if you do a lot of exercise. You can find a list of protein-packed dinners with no meat here. 7. Buy less meat when grocery shopping. It sounds so simple, but the first few meat-free grocery trips can just feel...weird? All of a sudden you're avoiding an entire section of the supermarket and it's easy to feel like you're forgetting something important as you check out. Buying less meat means you'll eat less meat, so cross a few things of your regular shopping list and replace them with more vegetables, eggs, tofu, tempeh, or meat substitutes. 8. 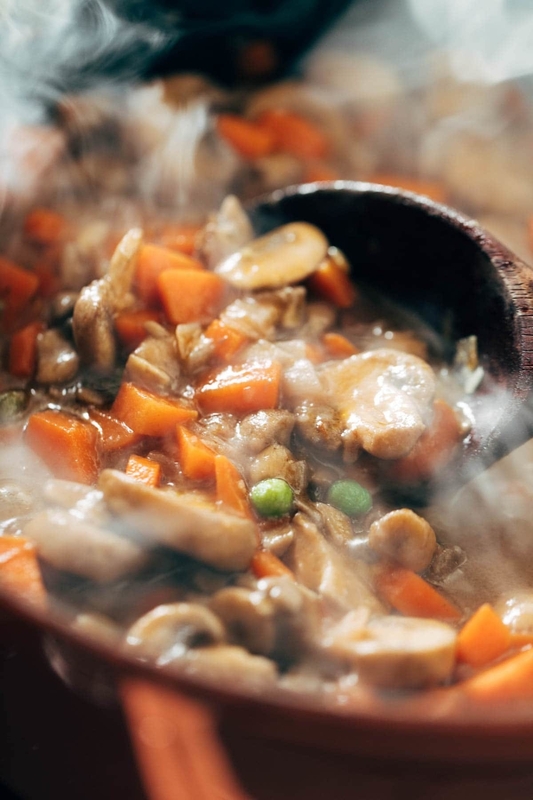 Choose a vegetarian food staple you love (think tofu, mushrooms, or eggplant) and master cooking it. I'll never master tofu — I accepted this fact long ago. However, I can make eggplant taste damn delicious whether it's grilled, roasted, or sautéed. Once you start eating less meat you notice that the same ingredients appear on restaurant menus and recipe lists time and time again. So, pick a favorite and experiment with cooking and eating it! 9. Cook vegetarian meals when people come to your home. 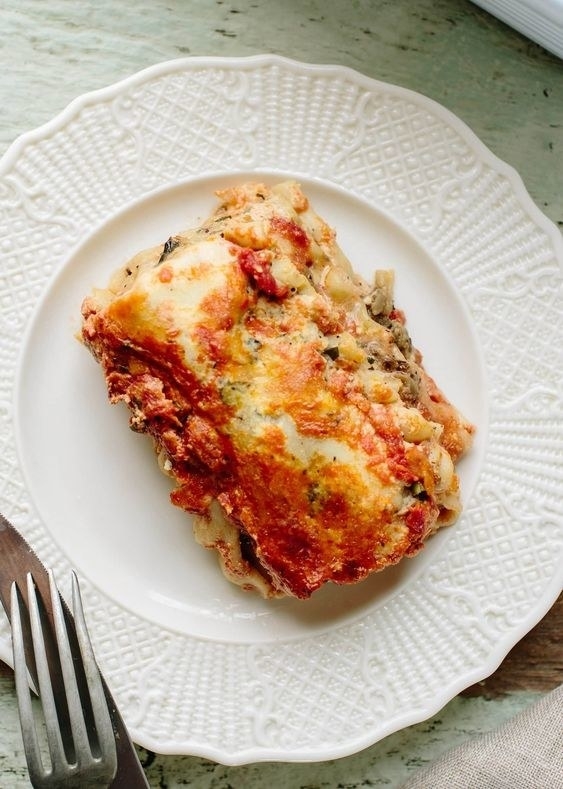 I'm obsessed with Ina Garten's roasted vegetable lasagna and it's fast become my go-to when people come over for dinner. It's a little finicky to prepare, but you can make it ahead of time and store it in the fridge for up to 24 hours. I assure you that nobody who's had it has ever even dared to whisper a wish for meat. 10. And get into the habit of taking a meatless dish to barbecues and potlucks. People always appreciate a wholesome veggie side or salad, and a meatless main can be just a delicious as any chili or meatloaf — I assure you. By bringing something meatless to the table, you can use the meal as an opportunity to remind people just how good meat-free dishes can be. 11. Connect with other people who eat little or no meat and ask them for recipes, cooking tips, and restaurant recommendations. 12. And remember exactly why you want to eat less meat. Whether for ethical, environmental, health, or other reasons, keeping why you want to change in the front of your mind can help you feel positive about your journey. Remember: It's your body, so you get to decide how to feed it.